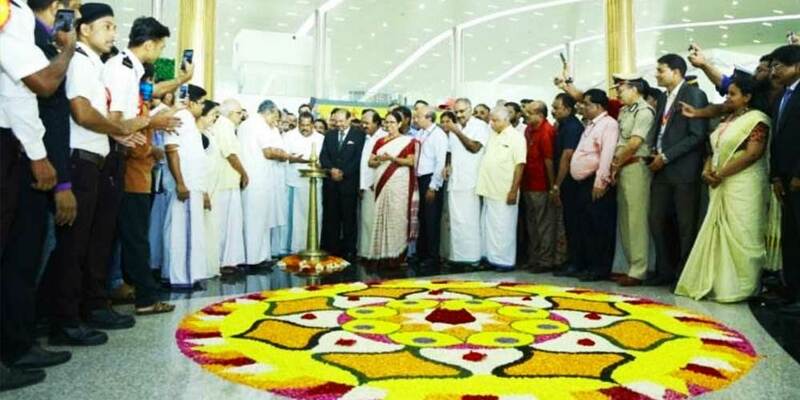 Kerala's fourth international airport at Kannur was inaugurated on 09/12/18 jointly by Union civil aviation minister Suresh Prabhu and chief minister Pinarayi Vijayan by flagging off the maiden Air India Express flight to Abu Dhabi. The other three are at Thiruvananthapuram, Kochi and Kozhikode. The airport is owned and operated by public-private consortium - Kannur International Airport Limited. This will be the second greenfield airport in Kerala, being built on Public Private Partnership model in an area of about 2,000 acres. As per the Information Memorandum prepared by SBI CAPS, the airport is expected to have an approximate annual traffic of 1.65 million international and 0.16 million domestic passengers in FY 2018-19. Also, The KIAL is slated to serve more than 1.5 million international passengers annually.